​Note: There is no input transposition protection, however, if necessary, you can connect a diode on the module's input port. 1. Its high efficiency within its output voltage range, around 90% or more so that it can maintain its power while being stepped up or down. 2. The module's various amounts of protection, so that the components on-board, the load and you, will be safe from any live electricity. 3. Its wide voltage ranges, which can be used for most of your hobby electronics, and the module's ability to handle 8 amps of high current. 4. The 4 mounting holes on this converter to hook it up on any surface and its overall compact size. 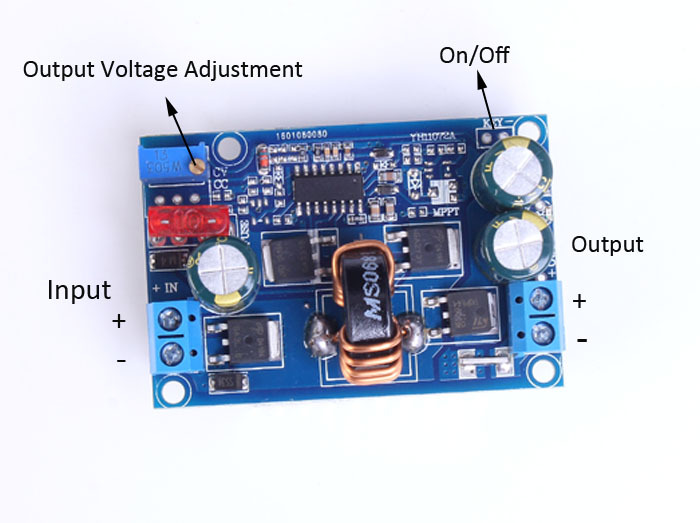 Be sure to check out the DC to DC Automatic Boost Buck Converter 5 - 32V to 1.25 - 20V 5A Setup by clicking here​.